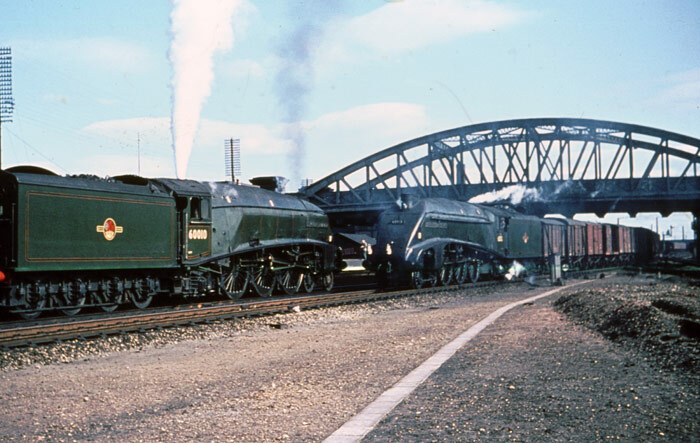 Classic steam under Crescent Bridge with two LNER A4 engines passing. The passenger train departing from the left is 60010 Dominion Of Canada while the approaching freight train appears to be in the good hands of 60013 Dominion Of New Zealand. The image has come directly from an original colour slide so no idea of date.